Type 48 Bar/Club recently refreshed like new! LOW RENT!!! You Want To Visit This Business? Then Select the Link to the Left "Want Name/Address." 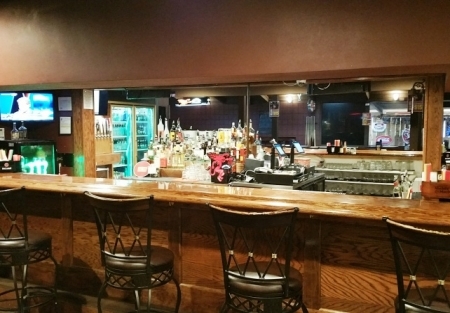 Newer Sports Bar & Club Venue has plenty of Entertainment in place such as Pool, darts, and lots of TV's. Newly Remodeled and Open as of 2015! Paint onto the existing concept or draw your own concept...the canvass is yours. Nice Bar and Comfortable Layout with lighting system plenty of elbow room for dancing and having fun in a safe and relaxed atmosphere! Large Walk in Cooler, POS system, Security system and more. 48 Full Liquor license, 77 Event & 58 Catering. Great potential for an Owner Operator to increase Sales and Profits! Sales well in Excess of $250K with lots of potential to increase. An owner operator would be profitable right away! Seller has reduced hours temporarily. Seller does not have experience in the Bar business and strongly believes an experienced operator could do really well here! * Must show proof of ability to purchase for detailed information on this business.